For lots of bloggers, their biggest dream is to eventually live from the money they make with their blog. 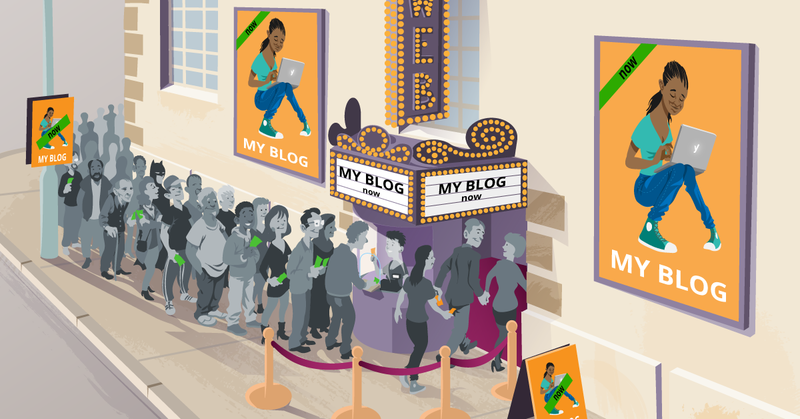 Once your audience is getting a bit bigger, you can start making money with your blog. I already discussed selling your own products and advertising as ways to monetize your blog. In this post, I will talk you through the possibilities of writing promoted posts and affiliating as ways to make money with your blog. When you’re selling promoted posts, receiving products for free or adding affiliate links to your site, make sure to disclose this to your readers. Not only is this the morally right thing to do, you’re also required to disclose this by law in many countries. Another way to make money with your blog is via affiliate products. An affiliate product is a product that you recommend or write about in a blog post, or for which you place a banner or an ad on your website. If someone clicks on the link on your website they will go to the webshop of the company which product you are promoting. If people actually buy that product, you will receive a percentage of the amount they are paying. A lot of retailers offer an affiliate program. You will receive a trackable link that you include in one of your blog posts (or in an ad). You will get a commission if someone clicks on the link and buys a product via your blog. How much commission you’ll get varies greatly on the type of product. It could be only 1 or 2% for physical products, but for digital products it could really be a lot more. There are a number of affiliate networks you could join, large ones like CJ and Shareasale, but there are also company specific networks, like Amazon’s affiliate network and the eBay affiliate network. What fits well really depends on your niche and what type of product you could sell to that niche. Affiliate can be a really good way to make money with your blog. As with promoted post, the risk with affiliate could be that the objectivity of the author could become object of speculation. In our view, you should make sure that the products you promote are products you really like. Products you would recommend to your friends and family as well. That way, you will make sure that you’re not promoting things to your beloved audience that do not fit you or your blog. Make sure to add a rel=”nofollow” attribute to each affiliate link and to any and all links in promoted posts so they don’t count for Google and other search engines. You need to do this to make sure you’re not getting penalized as Google might deem you to be selling links.